Significant steps in the design process included: 1. Development of a new and patent-pending spacer profile with the following characteristics: • Tightness: The LED lighting system is integrated into the spacer profile and fully independent of the tight interior of the insulated glass unit, thus ensuring tightness • Thermal management: Using a special design, heat resulting from the LED lighting system can be conducted out through the spacer profile • Maintainability: The LED lighting system can be easily exchanged without damaging the double-glazing or endangering the tightness • Industrial production: An industrial production method has been designed. 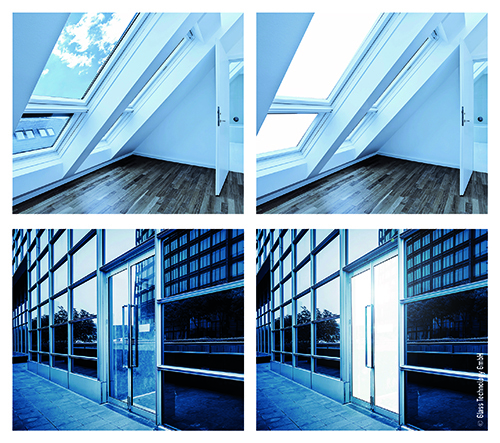 This guarantees reasonable mass-production costs of the insulating glass system. 2. 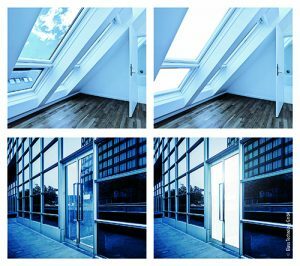 Development of optimised LED PCPs suited to this application: • Higher light output due to improved efficiency • LightGlass Tuneable Brilliantwhite has a CRI of over 90 • LightGlass Rainbow offers the full RGB spectrum • Development of a totally new optical component that optimises the influx of light into the system.